Experiential production company Batwin + Robin Production asked us to be a part of a major overhaul of the Radio City Christmas Spectacular for the 2017 holiday season. A completely new approach to projection mapping the world famous music hall was developed using a 14k UV map generated by laser-scanning the cavernous space for the projection system consisting of 36 projectors and an 8k array of LED panels for a 100ft on stage wall. 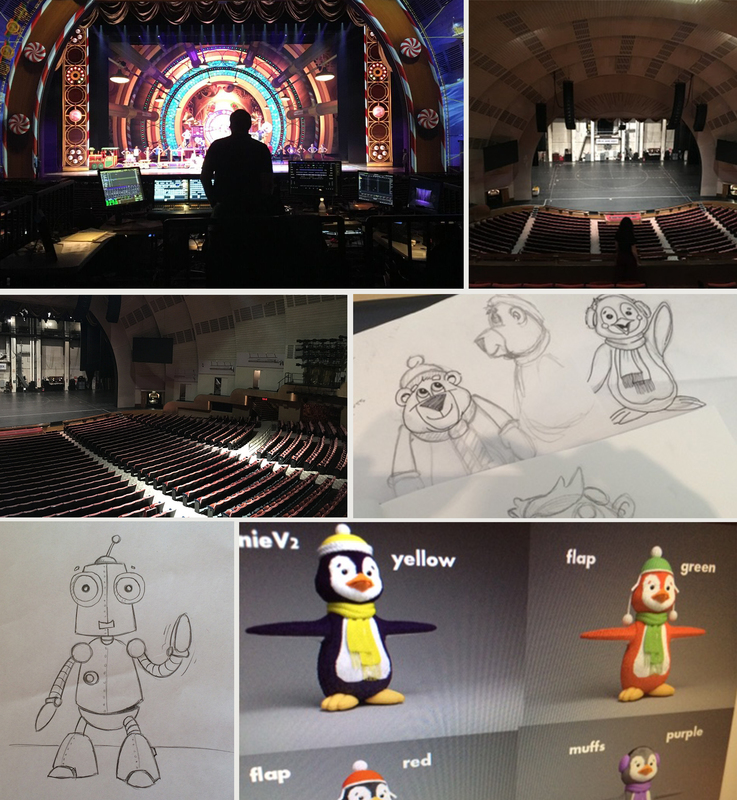 We were tasked with creating an immersive experience which would encompass the entire interior of Radio City for Santa’s Workshop and the North Pole complete with animated reindeer, busy elves wrapping presents, skiing down the hills outside, having snowball fights and making snowmen, all synchronized with music and choreography going on on stage. 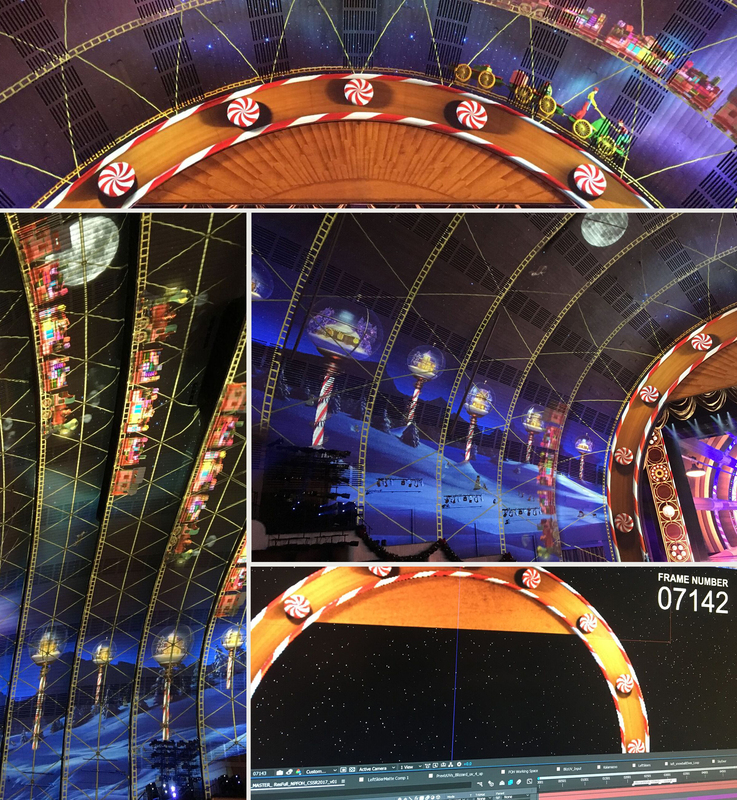 The whole process took about 6 months to complete from concept to delivery with many, many rounds of testing at Radio City and on mini versions of the LED wall and projection mapping simulations.